Interesting to read that the City of Bayswater won the Planning Institute of Australia Planning Excellence Award 2018 for public engagement. Bayswater invited 200 community groups and all residents to participate in a five-month community consultation process with focus groups, on-line participation, working groups, etc. Well before planners and councillors put pen to paper about city planning projects the community was consulted in-depth about what type of buildings, what height and what set-backs they preferred in their suburbs. There was also a conference in Melbourne a few weeks ago where planning experts expressed that councils should make YIMBYs out of NIMBYs by engaging much earlier with the public, so that community reaction would not be negative because people felt they are not being consulted. 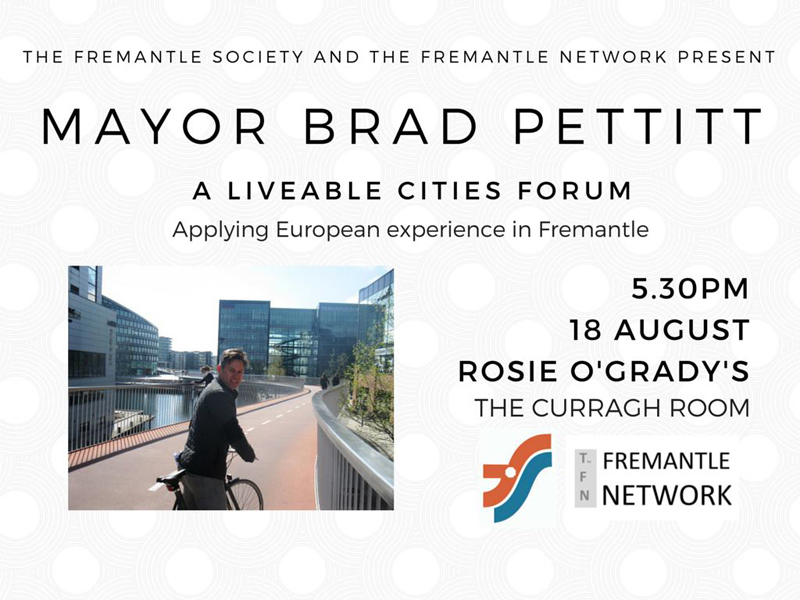 It is one of the issues I have talked and written about, even in the days long back when I was the president of the Fremantle Society. If council and developers engaged the community in the very early stages of development a lot of time and money could be saved, because it would be clear from the start what the community will accept and what development proposals they find unacceptable and will fight, all the way to SAT and the WAPC if that is required. Fremantle Council and our developers should learn from Bayswater, as the development process can be sped up while creating better outcomes at the same time. Well done City of Bayswater!